How to record sound on Mac? How to record both screen and audio on Mac? Don’t worry! We are here to help you with this major issue today! According to various personal preferences, we are going to introduce two different approaches. One method is using an online screen recorder, the other method is using a desktop screen recording program. Either way, it will perfectly help you to record screen and audio on Mac. 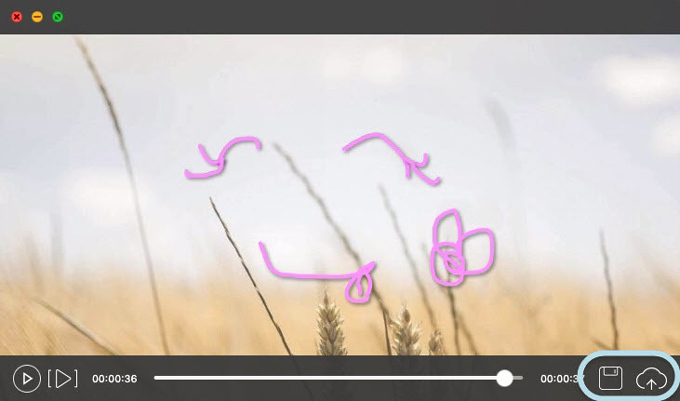 ShowMore is a completely free online screen recorder. 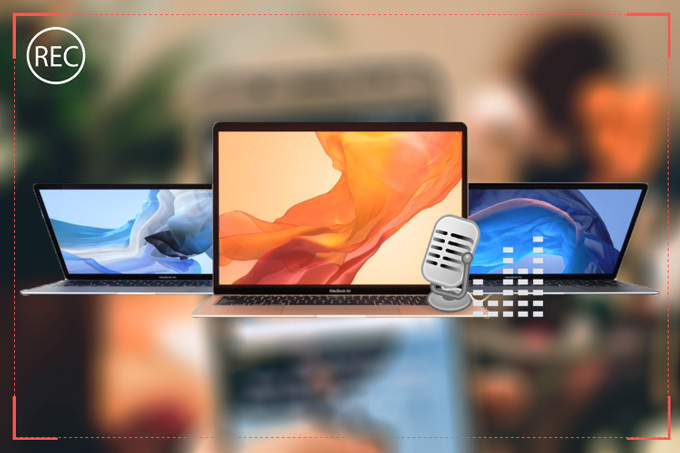 Recording games, tutorials, live streams or any reality shows/TV series you are following on Mac, this powerful tool can help you to do all of these. 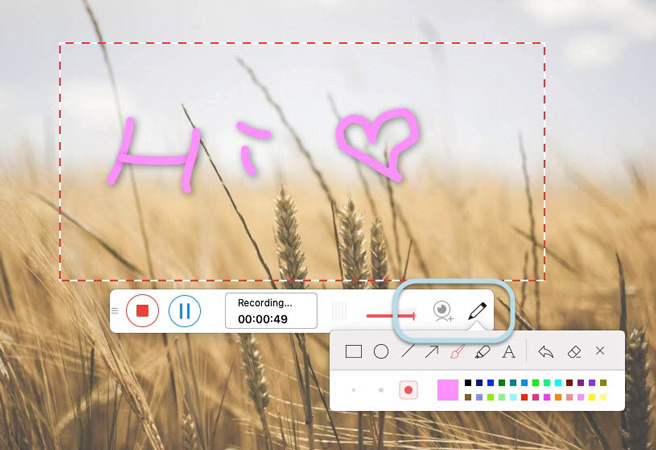 Furthermore, you can choose the annotation tool within the recorder to mark on the screen during recording. Follow the steps below to learn how to screen record Mac with sound. For first time users, it will require you to download an online launcher after clicking on the record button at the main page. Simply download the launcher and install it is alright. Then, click “Start Recording” to officially begin the process. Click on the third icon from left side, and then, you can select to record system sound, microphone or both. Moreover, you can also enlarge or reduce the recording area. 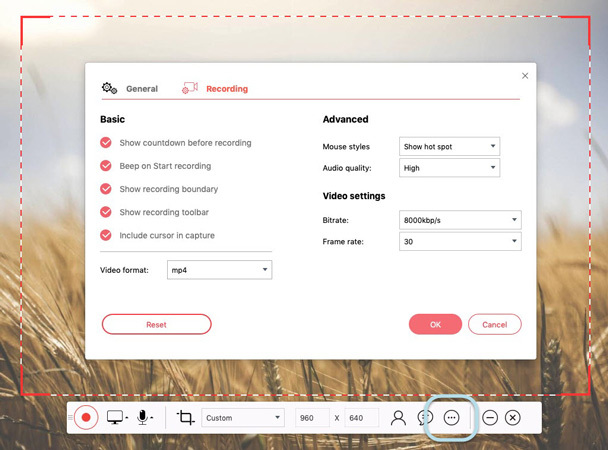 In the course of recording screen and audio on Mac, the first and second icons from right side can be used to add webcam and expand editing panel separately. Especially the editing panel, you can add square, circle, line or paint on the screen by using this panel. And kindly click the red stop button from left side to finish the recording. Finally, you can preview the recorded video first and then choose to save it or upload it to YouTube, ShowMore and other media platforms. Enough with the online free screen recorder, let’s check out this multifunctional desktop version. 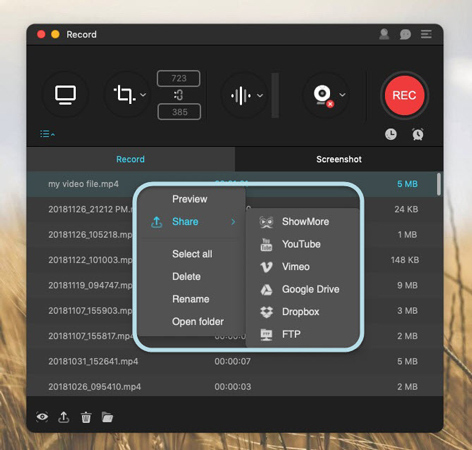 Task recording, auto splitting, screen and sound recording are all in one recorder – ApowerREC. Let’s take a quick look at the below guide on how to record screen and audio on Mac with ApowerREC. Launch the program and click the icon shown below, then, you can freely choose to record microphone, system sound or both audio sources. To start the recording, just click the big red “REC” button is fine. 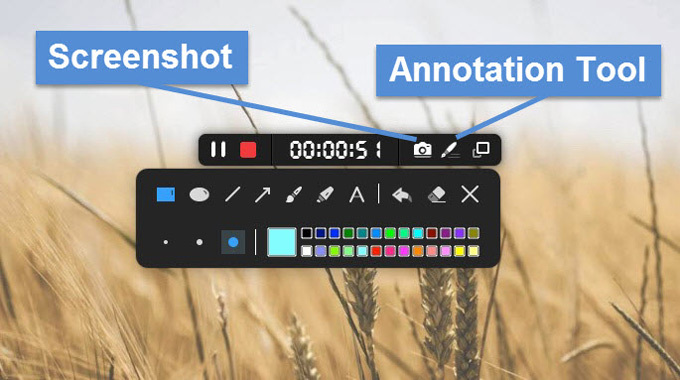 Taking screenshot or using annotation tool is available as well during the process. To end the recording, kindly click the little red square button. Once done with the recording, right-click the video file to further preview, share, delete or rename it. ShowMore: You can adjust the recording options under settings. Merely click on the icon pointed out below and choose settings, then you can change the mouse styles, audio quality, bit-rate, frame rate, etc. ApowerREC: Under the “Record” menu, you can opt for the task scheduler function to customize the recording plan. Besides, various adjustment can be made under the settings sections which is from the last icon at the top right corner.